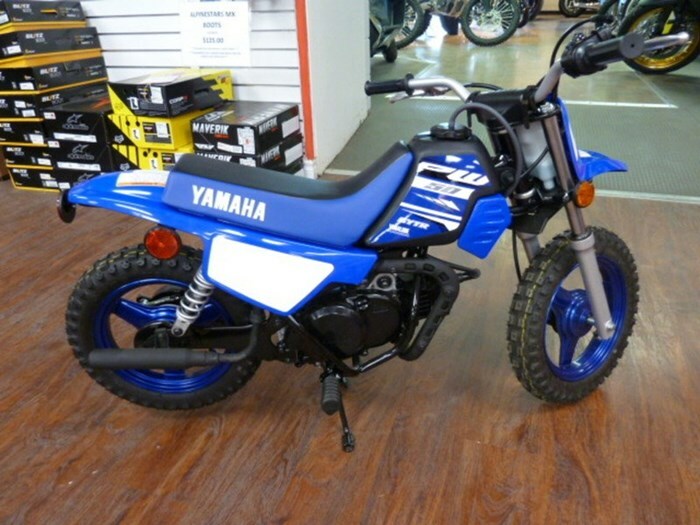 2018 Yamaha PW50 (2-Stroke) - Air-cooled, 49cc, reed-valve, 2-stroke single is mildly tuned to deliver predictable power that gently eases the new rider up the off-road learning curve 2018 Yamaha PW50 (2-Stroke) CONQUER DIRT One of the industry's best-selling mini-bikes, the PW50 is a fantastic entry-level bike designed to help young riders learn the ropes at an affordable price. ENGINE . RIDER CONFIDENCE Class-lowest 485mm (19.1") seat height creates a handling-enhancing low centre of gravity and allows most riders to put both feet on the ground for added confidence. 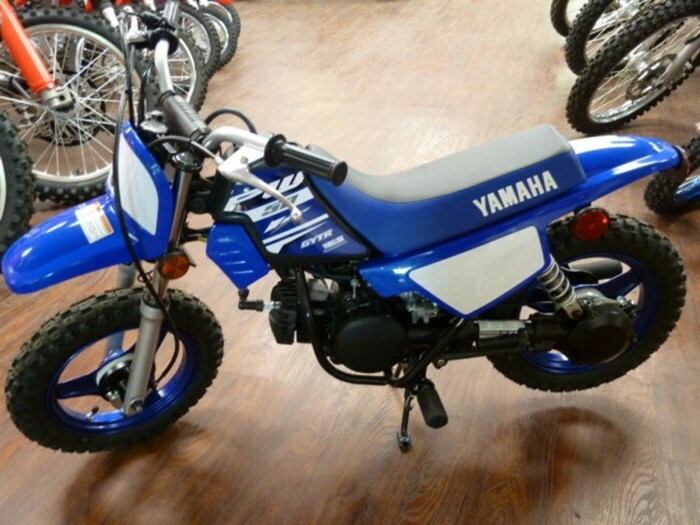 Features may include: ENGINE Air-cooled, 49cc, reed-valve, 2-stroke single is mildly tuned to deliver predictable power that gently eases the new rider up the off-road learning curve. Mikuni VM12SC carb Reed-valve intake system. Single-speed fully automatic transmission. Shaft drive system. Exclusive Autolube Oil Injection System. Easy access, washable foam air filter reduces tune-up costs. Maintenance-free capacitor discharge ignition (CDI). Lightweight, exhaust system with heat shields. CHASSIS/SUSPENSION Rugged steel backbone-type frame Class-lowest 485mm (19.1") seat height 22mm telescopic front fork with 60mm (2.4") of travel smooths out the bumps. Dual rear shock suspension with 50mm (2") of wheel travel Front and rear drum brakes Durable, mag-style wheels Knobby tires Specially designed one-piece rear fender, side panels & seat. Rugged plastic body components.